Endoline’s fully-automatic range of case erectors require no operator assistance and will erect cases independently or on demand. Each model uses the unique dual opposing vacuum feature to erect flat cases and seal on the base with self-adhesive tape or hot melt glue. These machines are available as low speed or high speed to run up to 30 cases per minute. Each case erector can be modified or bespoke to meet the customers exact specification. 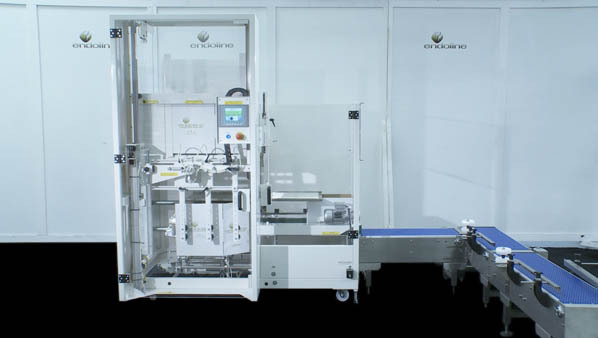 All machines are built to a compact footprint for tight production halls and include a full sensing kit to inform the operator if cases or glue/tape are low or empty. 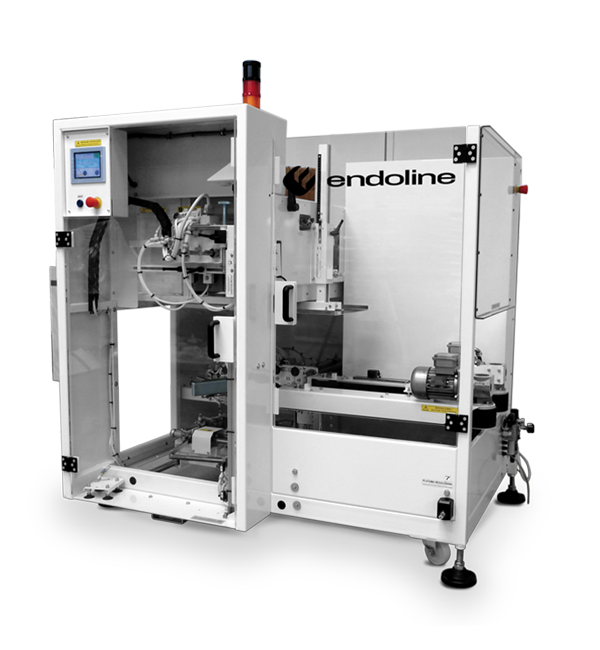 Endoline’s range of machines also include low level hoppers for the ergonomic loading of heavy case blanks and servo drives for greater speed and flexibility. The fully automatic case erector range are designed with high quality in mind and are extremely simple to operate and maintain to offer an excellent return on investment and low cost of ownership .